In a way, professional sports as a living is like endless childhood. Scrape off the mega-million-dollar contracts, the sweaty intensity of elite competition, the pressure of pleasing or displeasing a fan base, and it still comes down to the games people play. So perhaps it’s not so unusual that Zach Hyman remains very much in touch with his inner child, while toiling as a Maple Leaf, the team he grew up adoring as a Toronto born and raised youngster. On the side, Hyman is also a published – and best-selling – author of children’s books. Now that’s rather exceptional. The kid inside Hyman has emerged as the fictional protagonist in a trio of beautifully illustrated books: Hockey Hero, The Bambino and Me, and The Magician’s Secret, which came out in April. He’s a reader and a writer, the latter only slightly more rare than the former in NHL dressing rooms, where players can most commonly be found staring into their smart phones or playing video games, but that’s true of all big league inner sanctums. “I love video games too,” the 26-year-old is quick to point out. It began when Hyman was in Grade 7 and wrote an essay – a story – for a school competition. He won the award. So, Hockey Hero sprung first from his creative mind but came second in his grown-up literary oeuvre after The Bambino and Me. 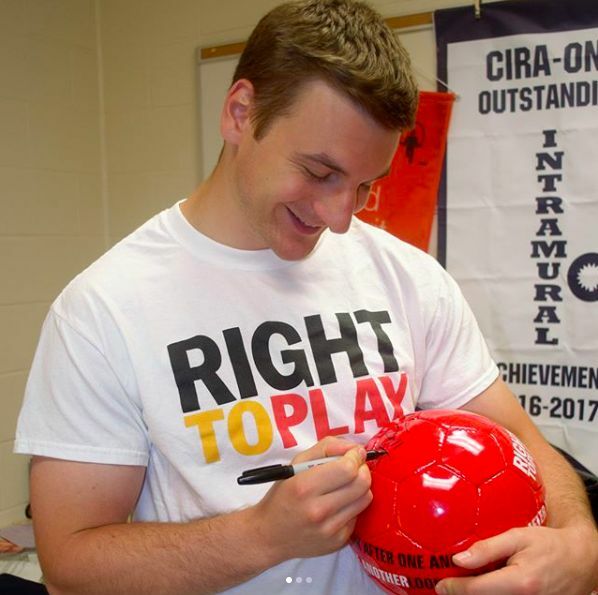 “I love to read, it’s been a huge part of my life,” says Hyman, who has participated in reading sessions at schools throughout the GTA as an ambassador for Right to Play, a global organization that promotes sports as a tool for empowering and educating kids. Hyman was among the few Leafs who brought their A-game in the series with Boston. 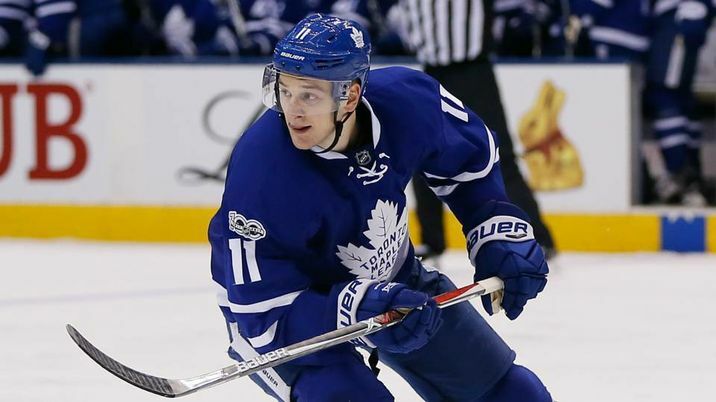 Despite a privileged upbringing – he was raised in posh Forest Hill – the hard-nosed forward has been praised by coach Mike Babcock for his blue-collar work ethic, battling for pucks in the corner on a line with marquee star Auston Matthews. And that’s a narrative which imbues his books. Hockey Hero is about a shy boy who goes from bench warmer to peewee championship superstar. The Bambino and Me revolves around a youngster who idolizes Babe Ruth, incorporating real quotes from the legendary baseball player that Hyman found after many hours of dedicated research. The Magician’s Secret, which stitches together adventure stories, was inspired by Hyman’s own grandfather. A planned fourth entry will have a basketball tableau. As a reader, Hyman inclines towards science fiction, citing the Red Rising trilogy by Pierce Brown as among his favorites. In younger days, he was a big fan of the Harry Potter books. These days, of course, it’s mostly about hockey, fitting in his 40-page authorship ventures where he can. Maybe, in the future, he’ll try writing for adults as a full-time occupation. “I’d like to do that when my playing career is over. But a novel requires so much concentration and time.